I set this table for brunch for my family when they were all here before Easter so you may see Peter Rabbit peering back at your from the centerpiece, you can go here to see the post. The set works so well with all of my Beatrix Potter collectibles. This is one of my favorite Laura Ashley Sets, in the Hazelbury pattern. Each place setting is a different pattern in the the same design. I purchased the set back in the eighty's. 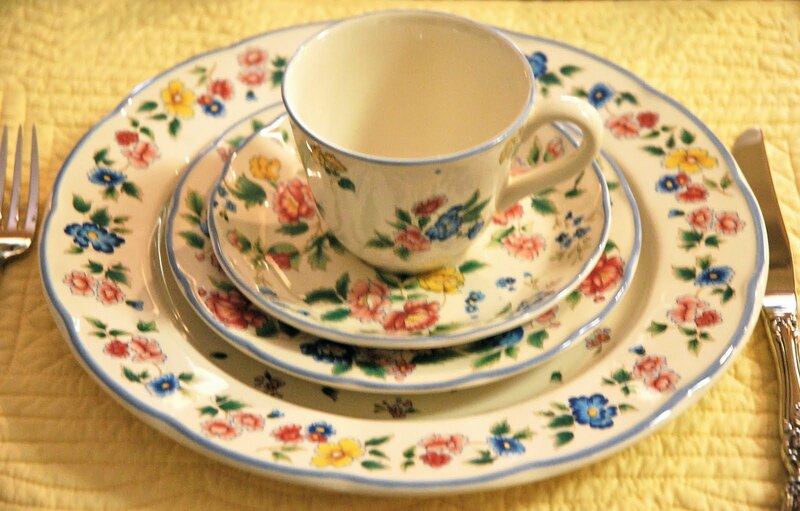 This set I use for more casual entertaining during the spring and summer months, its usually what I grab to set the table in my kitchen for family dining, for last minute plans, and unexpected guest. This is the first time to use this set for the season. I have service for eight and a complete tea service in this patten. I like to use my blue splatter ware serving pieces with this set. I felt happy just looking at these dishes! I always loved Laura Ashley but just had some her bedding. Oh Emily, this table is just so pretty! The LA dishes are gorgeous! I love the whole table. Have a great day! 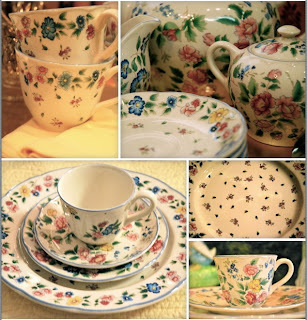 I love Laura Ashley anything! This is gorgeous! love the tablescape for spring you did with it also. Very nice! Oh, and thanks for linking it up to HSH! 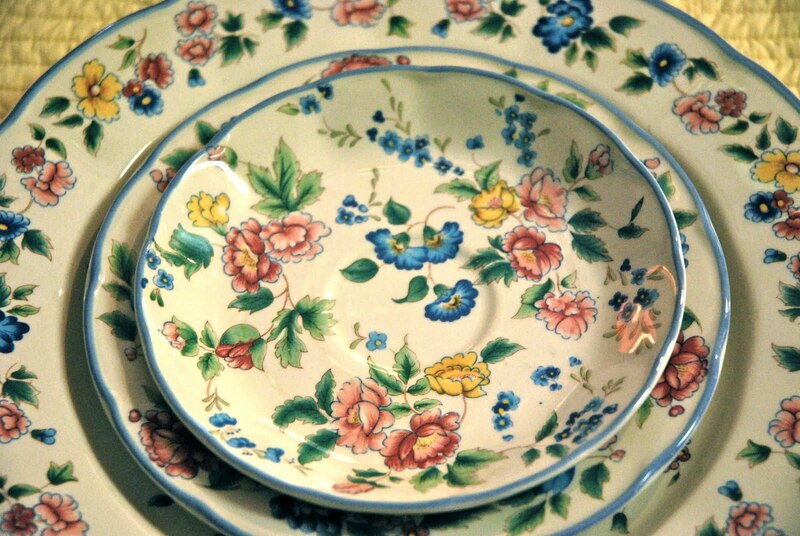 What a pretty tablescape; love your china! I always loved LA and your table just makes me smile. Thanks for sharing. I love Laura Ashley...the most I've ever had of hers was a couple of sheet sets! Your table looks so pretty, I'm glad you shared it. And thanks for stopping by today with your sweet comments! That is a perfectly charming set of dishes. It must be great fun to serve tea using them. 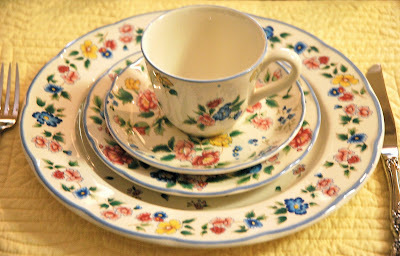 Love this beautiful china and your adorable table setting. Just precious! Your tablescapes are so lovely--I enjoy browsing the posts and seeing many pretty dishes and vignettes. The Laura Ashley service is especially lovely. Your table looks beautiful. Love the dishes! Happy Pink Saturday! I remember when Laura Ashley stores were easy to find in most cities. Whenever we'd move I'd head for Laura Ashley for curtain fabric - my remnant box is like a history or LA fabric! 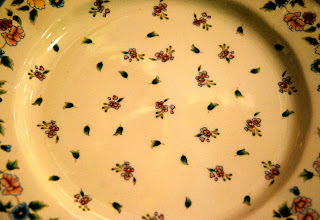 The dishes are so very pretty - like a garden on the table. O, this is just GORGEOUS! I LOVE IT...your table looks so pretty and to have a tea set to match is just icing on the cake. Love it all..
anyway, I am using last year photos of my flowers...they were so pretty back then. 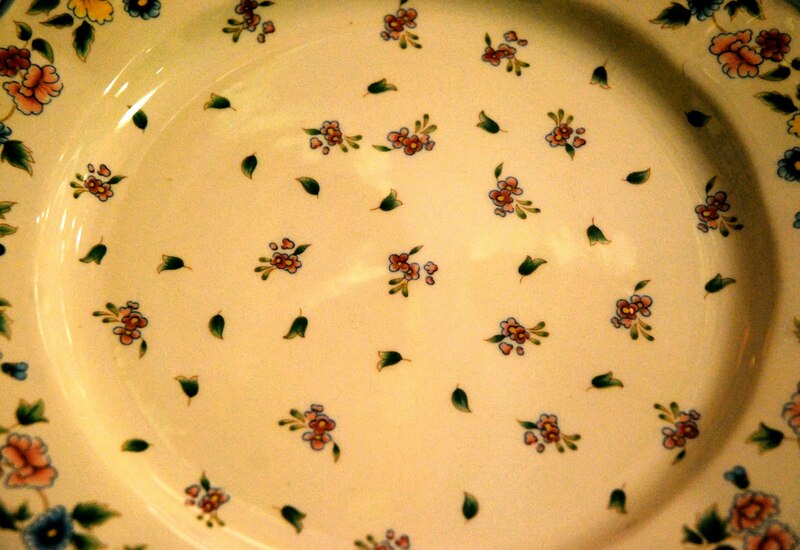 Hi Emily, Love your pretty dishes they look so romantic. Hi, Emily! What a great LA tableware set! Absolutely beautiful. Lovely tablescape. Very Spring-y! 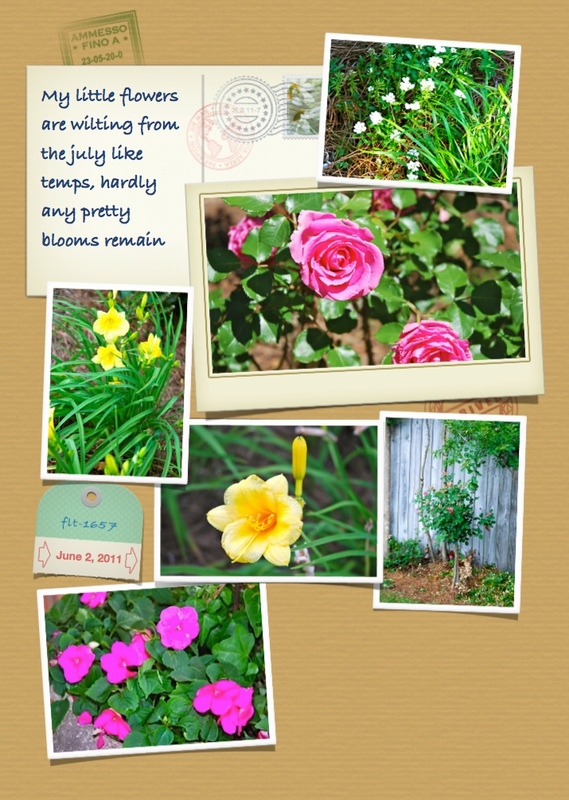 I'm so glad you stopped by my blog as it enabled me to find your pretty blog! I'm so glad you plan on visiting again this Friday for the Wedding Blog Party and Giveaway!!!! See you then! You set a beautiful table and your home looks so warm and welcoming. I'll be right over for a cup of tea. It's so nice to meet you and visit your lovely blog. Thank you for visiting me and leaving your sweet comment. Your plates and table are simply beautiful! So inviting and warm! The table setting looks so very English to our eyes. So very pretty and with such a summery feel. We have found you quite by chance via Helen's blog and have so enjoyed our visit.